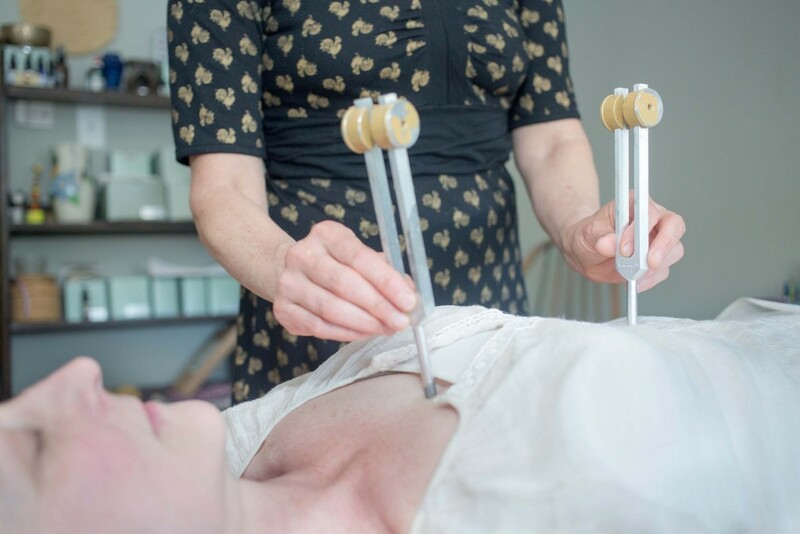 Craniosacral Therapy, with Maura Cronin, is the delicate, hands on treatment to the cranial bones, spine, visceral organs and pelvis for restoration of the cranial rhythm to its natural state. Physical and emotional restrictions to this rhythmic flow are removed by gentle unwinding the system and with specific treatment protocols. It is deeply calming to the central nervous system and can be beneficial for everyone and responds to many complex health challenges such as migraine, concussion & brain injury, sciatica, TMJ or jaw tension, sinusitis, vertigo, tinnitus, chronic fatigue, fibromyalgia, depression, ADHD autism, hip, back and neck pain. It very helpful for pregnancy, labor and especially wonderful for newborns helping with integration, lactation, reflux, colic, torticollis, sleep and other challenges. CST is a gentle, hands-on method of evaluating and enhancing the functioning of a physiological body system called the craniosacral system – comprised of the membranes and cerebrospinal fluid that surround and protect the brain and spinal cord.Using a soft touch (generally no greater than 5 grams) or, about the weight of a nickel, practitioners release restrictions in the craniosacral system to improve the functioning of the central nervous system. By complementing the body’s natural healing processes, CST is increasingly used as a preventive health measure for its ability to bolster resistance todisease, and is effective for a wide range of medical problems associated with pain and dysfunction, including: Migraine and headache, TMJ and jaw tension-contributing to, or often, a corrective mechanism to a degenerating cervical spine, other lumbar and sciatic pain, tinnitus, vertigo, sleep challenges, depression, ADD, ADHD, anxiety, Autism, cerebral palsy, and digestive disfunction to name a few. Craniosacral is wonderful for pregnancy, labor and newborns. It can benefit the infant with sleep, digestive, breastfeeding, and structural challenges. The patient lies on the table (or sits if necessary or is held in Mama’s arms) and remains clothed often relaxing into an altered state. A typical treatment is 75min (often a little more 1st visit) for adults, 20-30min children but we schedule 45min.